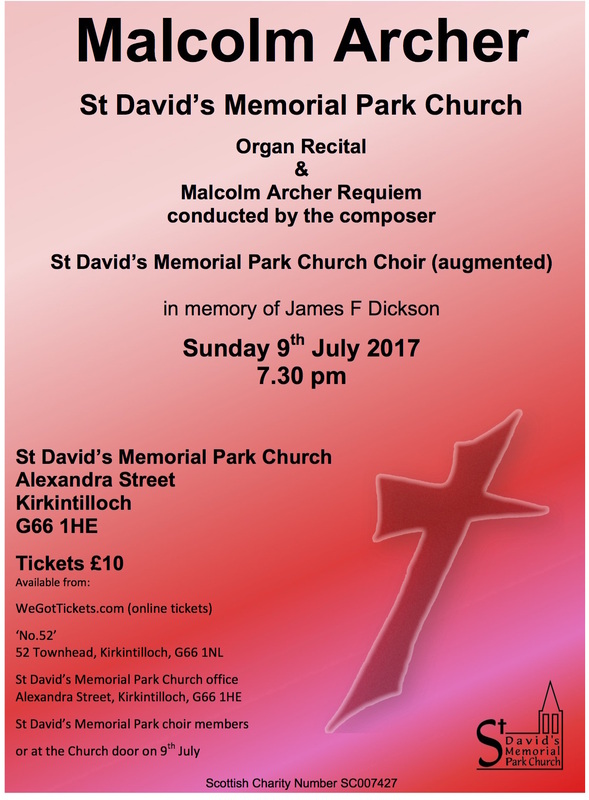 St David’s Memorial Park Church are extremely pleased to announce that UK renouned composer, organist and conductor Malcolm Archer is taking part in a concert on Sundat 9th July at 7.30pm. Full details on the poster. All invited. A warm welcome awaits.